With Halloween right around the corner, there's no better time to unleash your inner Martha Stewart. You'll love creating these fun, unique crafts using products that can be found in or around your home. 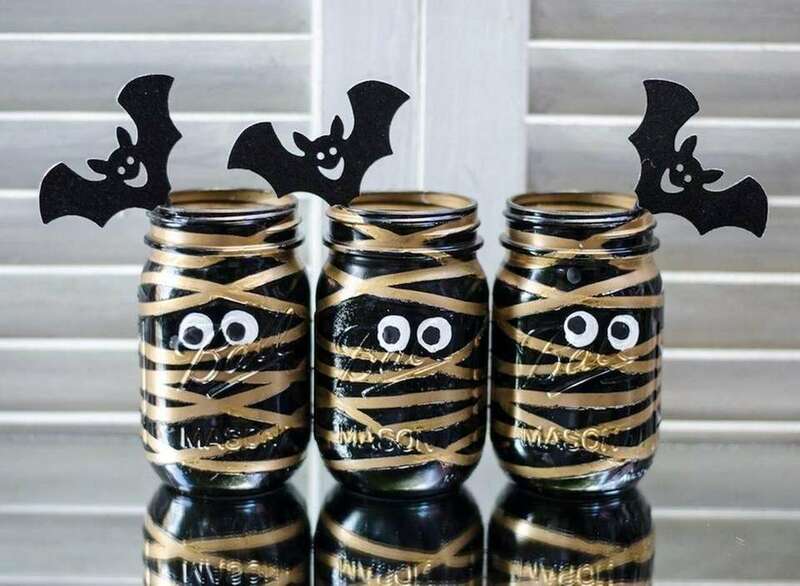 So grab your wine bottles and glasses, egg cartons and stockings -- yes, stockings -- and give your home the DIY treatment by recreating these frighteningly easy crafts. 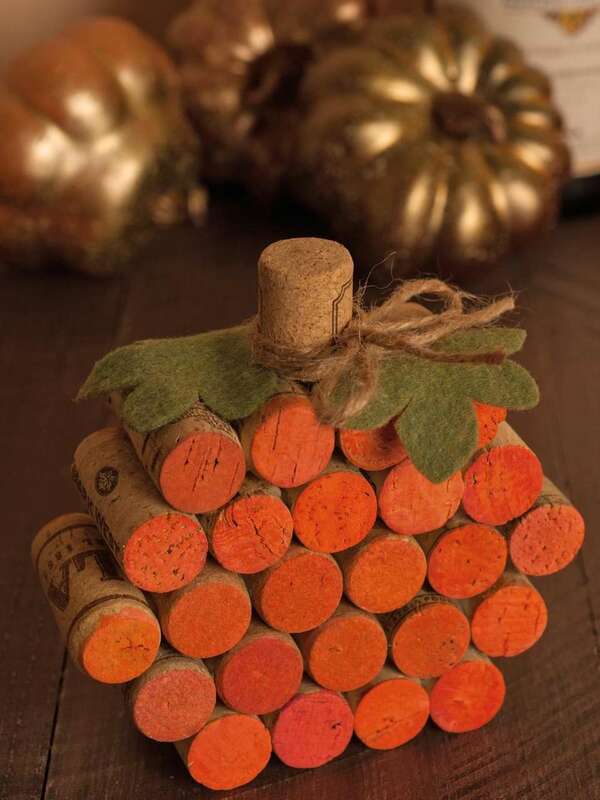 Pumpkin designs are a great prop that can last throughout the fall, and wine corks are easy to find -- both around the house or at a craft store. See how My Gourmet Connection created this trendy piece of work and other wine cork projects. 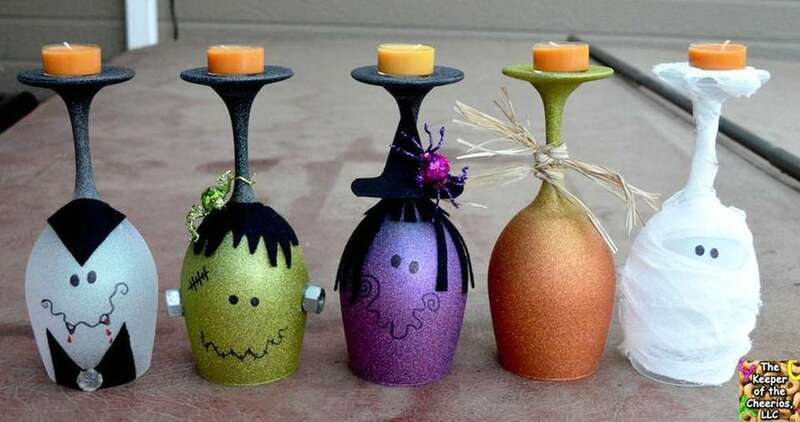 With the knickknacks you thought you'd never use, and items from the dollar store, this wine glass project is a must-try for Halloween. Visit The Keeper of the Cheerios for a list of materials and directions on making this budget-friendly craft. Look no further than those empty mason jars, loose rubber bands and unfinished cans of paint to spruce up your kitchen counter with this festive DIY craft. For instructions and more crafting projects, visit It All Started With Paint. 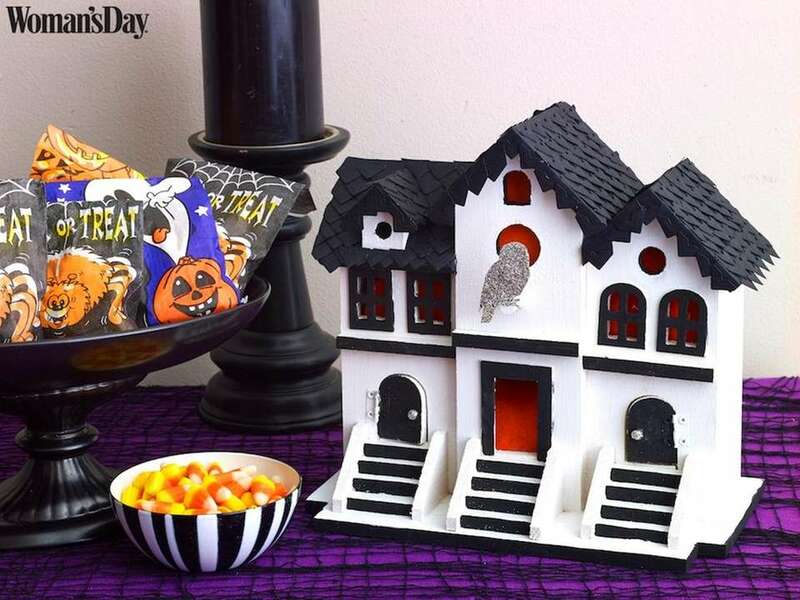 This birdhouse-turned-haunted house is the perfect way to incorporate some Halloween into your decorating this fall. A bit time-consuming, but totally worth it, and so are these other decorating hacks on Woman's Day. 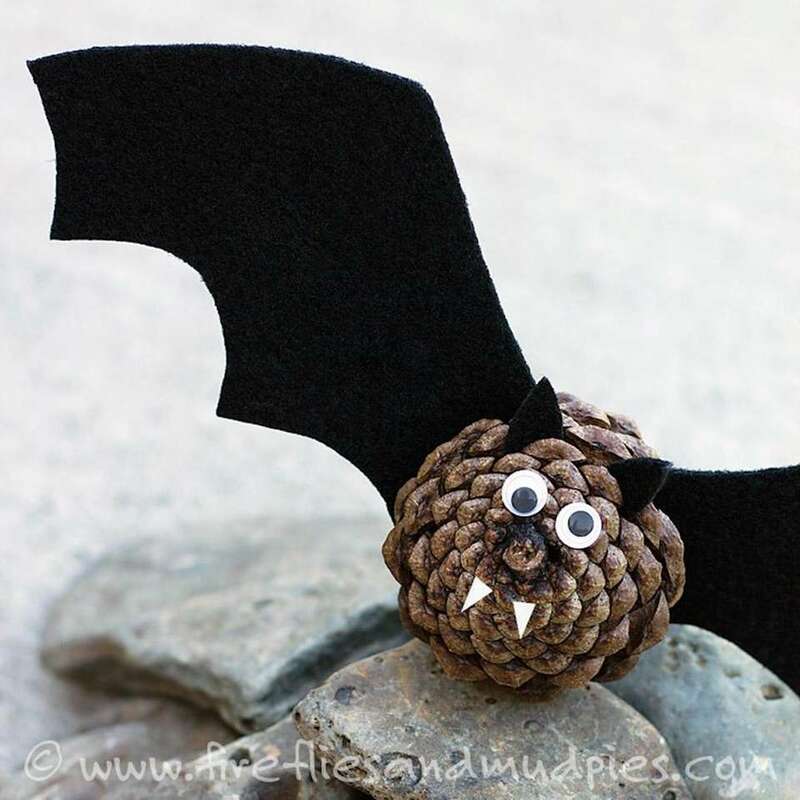 Simply take a walk around the block or stroll the aisles of a local craft store for some pinecones to replicate these mini bats, appropriate for decorating both indoors and outdoors. Fireflies + Mud Pies has the tutorial. Give recycling a whole new meaning! 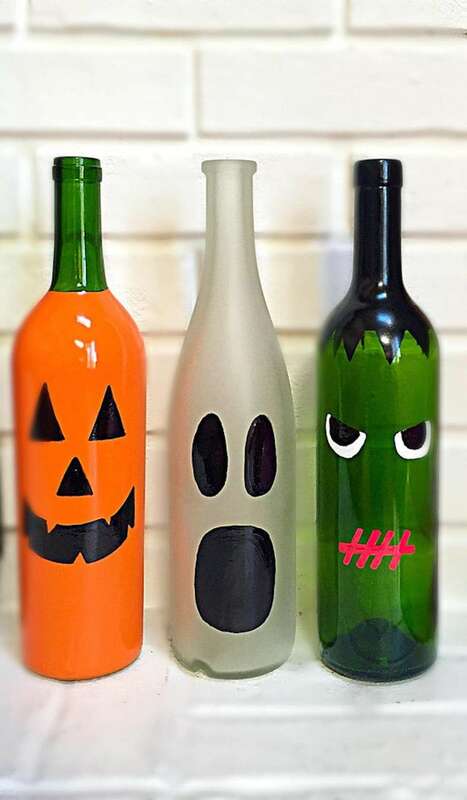 Instead of tossing used wine bottles, paint one of your favorite Halloween-themed images on it for display. Forget the intimidating witch on your front door. This easy-to-create wreath, found on Etsy shop JenniferDecorates, is a festive way to welcome trick-or-treaters. With just a few products that can be found around the house and at craft stores, the finished product will be well worth it. Tired of painting pumpkins? 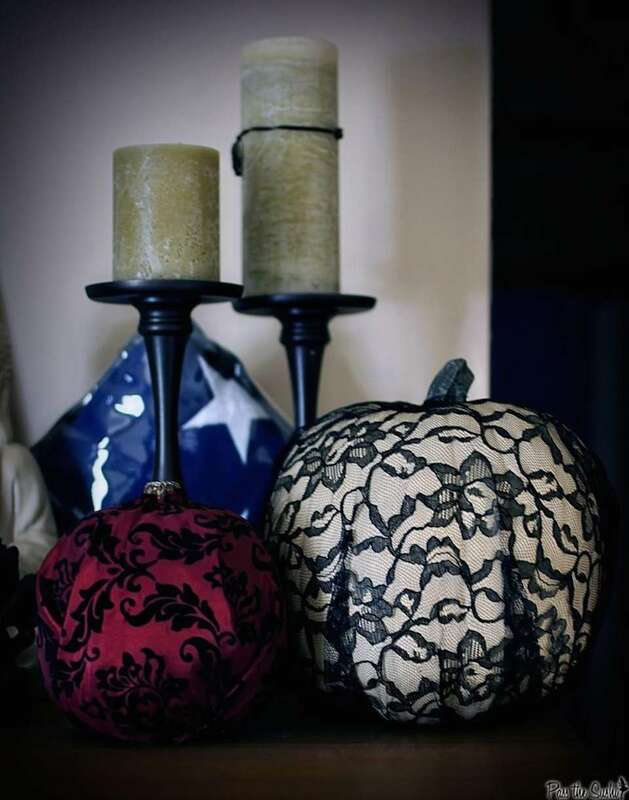 Try this instead: Take a pair of stockings and slip it over your gourds. Or, adhere lace fabric to it as shown on Pass the Sushi. 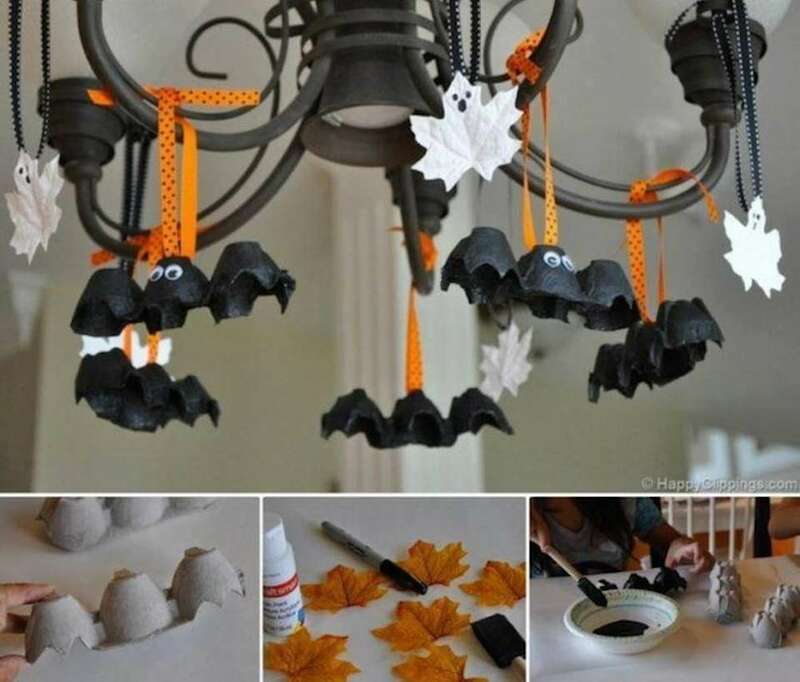 Egg cartons and leaves come in handy when decorating for Halloween. Use them to hang from chandeliers or to dress up a staircase. Here's one easy way to use them both, courtesy of Fab Art DIY. 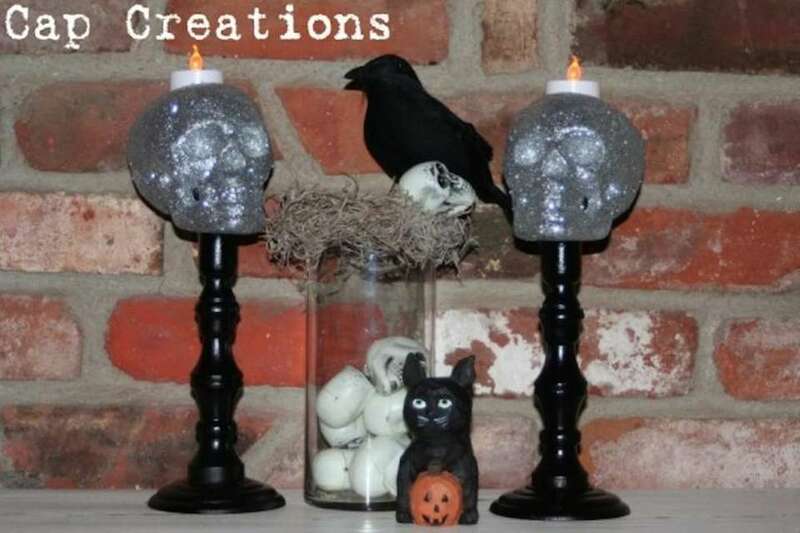 It cost less than $5 and takes just a few minutes to create these skull candlestick props from Cap Creations. 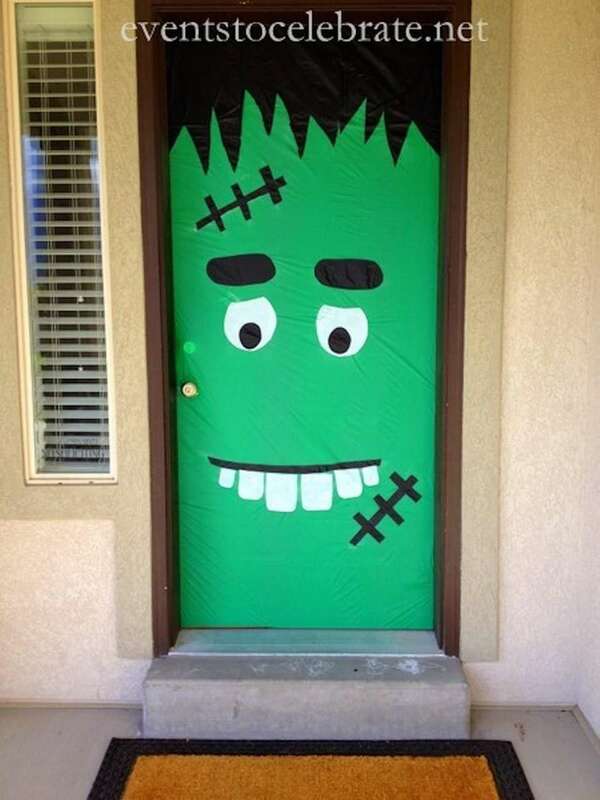 Nothing screams "spooktacular" like this Frankenstein door design made out of plastic table covers. Events to Celebrate has the directions and other easy-to-make front door ideas. Looking for more Halloween fun? You'll find great costume ideas, local events, party planning tips, recipes and more at newsday.com/Halloween.